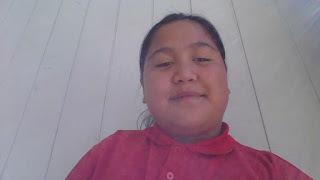 Kia ora, My Name is latisha I am a year 6 and I go to pt england school. My Name is latisha And I Am Nine years old these there awesome three teachers that are in My class room their names are Miss parrent , Mr Goodwin, Miss Tuia those are the there lovely teachers that i have this year.I enjoy playing with my friends and I enjoy playing with my siblings and cousins I enjoy playing All sorts of games and I enjoy playing lots of sports I like the three teachers that are in My class. I play Netball every year And on the weekend I go to My Dad’s House And My Nan’s House. Thanks for Reading all about me please leave A comment on every blog I do Thanks. Task Description For This task we used a template given to us by Miss Parrant to write about ourselves for the about me section on our blog. We had to think about our different interests, hobbies, and information about ourselves in a way that was cybersmart. THIS IS ME AND MY LITTLE SISTER ALEYEA DOING THE EMOJI CHALLENGE. IF YOU LIKE IT PLEASE LEAVE A COMMENT WHAT YOU LIKE ABOUT IT AND DESCRIBE IT PLEASE THANK YOU. MERERY CHRISTMAS EVERYONE IT IS GOING TO BE CHRISTMAS IN 6 DAYS WHAT ARE YOU DOING FOR CHIRSTMAS ,COMMENT DOWN BELOW WHAT YOU ARE GOING TO BE DOING ON CHRISTMAS EVERYONE.JUST TO LET YOU NOW I AM GOING TO BE AT MY NANS HOUSE SO I WILL NOT BE ONLINE WHEN IT IS CHRISTMATS THANKS FOR CHRISTMAS. BYE FANS I AM GOING TO BE DOING SUMMER LEARNING JOURNEY LOVE YOU GUYSS LOTS VERY MUCH. THANKS FOR BEING MY FANS. MERRY CHRISMATS AND HAPPY NEW YAERS AND HAVE A NICE AND HAPPY HOLIDAYS.